Consider yourself warned: you won’t want this concert to end! The NAC is turning fifty this year, and we are celebrating the best of the last five decades of music. Pinchas Zukerman helmed the orchestra for 17 glorious seasons and, as Conductor Emeritus, remains beloved by our audience and musicians. The concert plays like a highlight reel of some of Zukerman’s favourite works. 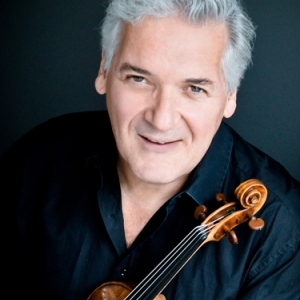 Best of all, the concert showcases Zukerman’s sensational mastery of the violin. Carl Maria von Weber’s dramatic overture to his 1821 opera Der Freischütz, or "The Magic Marksman", contains all of the drama of the opera’s highs and lows: hear the marksman’s gunshots, feel the pain of the lovelorn mistress and expect to be spooked: Weber used various instruments to express the supernatural. A true phenomenon to behold: a solo performance by Pinchas Zukerman. 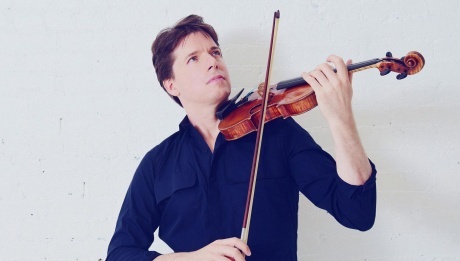 The Bruch Violin Concerto is one of his signature pieces, and audiences revel in it. Its rich, seductive melody is the perfect vehicle to showcase the jaw-dropping finesse of Zukerman’s playing. The celebration peaks when Zukerman conducts Dvořák’s cheery and lyrical Symphony No 8. Composed in 1889, Dvořák wrote it to celebrate his admission to the Prague Academy. He was so jubilant that he even wrote a letter to the Emperor praising his “encouragement of Arts and Literature”. The Symphony is inspired by Bohemian folk music, a style that carries much movement and buoyancy.